Getting a tooth pulled might not be fun, but sometimes it’s necessary. 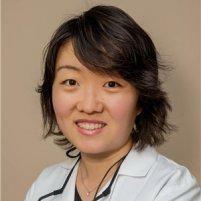 With the help of Huixin Wang, DDS, tooth extractions at Wintergreen Family Dental in Rockville, Maryland, have never been easier. Not only does Dr. Wang perform extractions with care and compassion, but she can also recommend simple follow-up procedures that help restore your smile and oral health. To find out more, call or use the online booking tool today and schedule a consultation at the office. At Wintergreen Family Dental, Dr. Wang always exhausts all other options before turning to a tooth extraction. However, in some cases of severe decay, infection, or fracture, your tooth is beyond saving. Some cases of damage or infection can be treated with solutions, such as dental crowns or a root canal. But this isn’t always the case. When the health and function of your tooth have been compromised beyond repair, a tooth extraction may be the best way to address the situation. Luckily, Dr. Wang provides convenient extractions at her office. She even works with you to strategize follow up procedures to improve your smile after an extraction and prevent any future oral health risks. If you ultimately need a damaged tooth extracted, Dr. Wang can perform the procedure in just one visit. First, she numbs the affected area so you don't feel any discomfort during the procedure. The process itself involves the use of a lever-like appliance known called an elevator. Dr. Wang uses the elevator to loosen your tooth from its socket. Then, using a forceps, she carefully extracts the tooth. During this last part, you may feel some slight pressure, but nothing that should seriously alarm you. What is the recovery from a tooth extraction like? Dr. Wang applies a gauze directly following your tooth extraction to clot any blood flow that occurs. Some light bleeding is to be expected for the first 24 hours after the procedure. You may also notice some minor facial swelling, but plenty of rest, icing, and prescribed pain medication help this subside. For the first few days, you should stick to a diet of soft foods, as outlined by Dr. Wang, but then you can gradually get back to enjoying your everyday diet. Brush gently for the first week or two after an extraction while the treatment area heals. Dr. Wang schedules a follow-up visit with you to monitor your progress and make sure the extraction site is healing properly. If you experience any prolonged irritation or pain that worries you, let the office know. 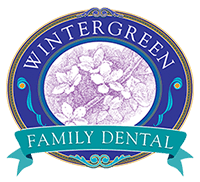 To find out more about how tooth extractions work at Wintergreen Family Dental, call or use the online booking tool today and schedule an appointment at the office.